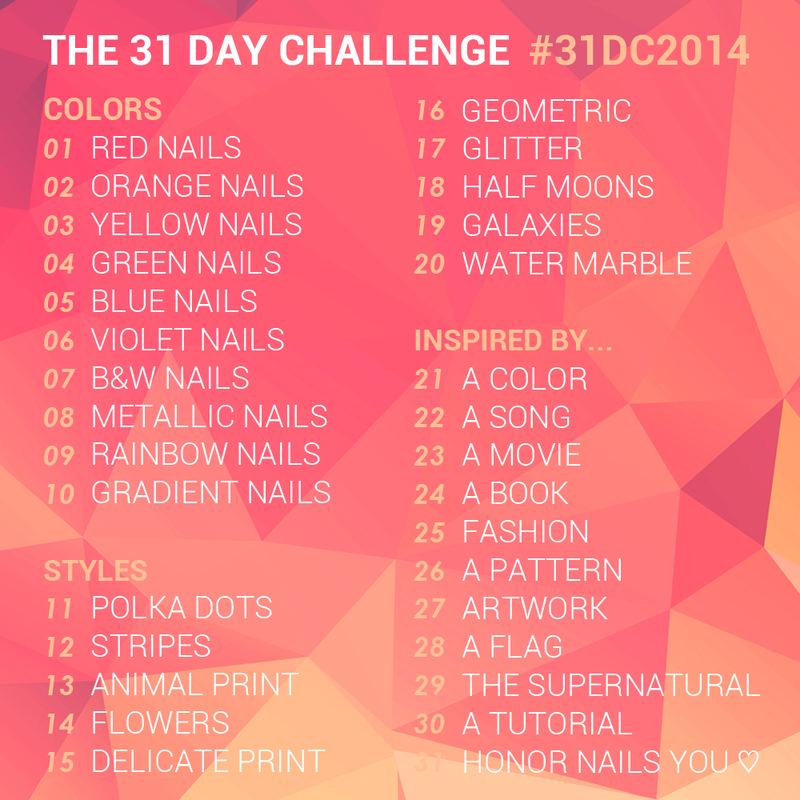 So let's look at my fill for Day 9: Rainbow Nails! I started with two coats of Essie Blanc to get this look, and topped it with one of the jewels of my polish collection: OPI Man With the Golden Gun which is an 18k gold top coat. Already I was in love with this look, but to push it over the top (and to make it fit the 'rainbow' theme for today) I added some rainbow feather water decals. Lovely! I just love how simple and bright this look is... I debated adding feathers to each nail but I like having them as accent nails. 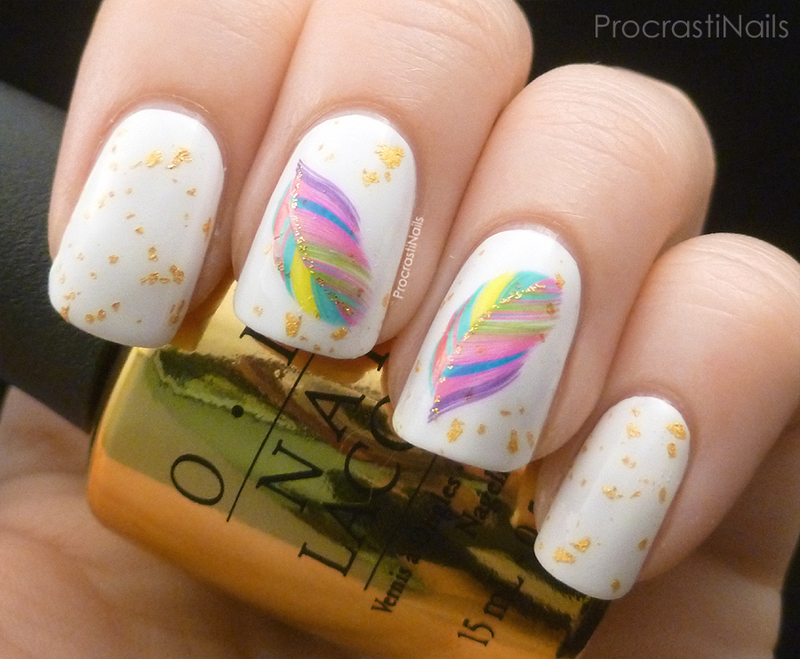 And the vein of gold through the middle of the feather ties it to the top coat wonderfully. Another day, another challenge fill done! Definitely one of my favourite so far. Also, it was brought up in one of my blogging groups today that it's a pet peeve for many when bloggers don't respond to comments - I've been terrible at this recently since most of my free time has been taken up putting these posts together, so I apologize. I'm not a daily post kind of girl! That being said please know that I truly appreciate each and every comment left and I do read them all. I'll try to put aside some time this weekend to retroactively respond to some! Eeeeeee! I love this! I used those same water decals a few months ago in a mani and I didn't want to take it off either. They are SO gorgeous! 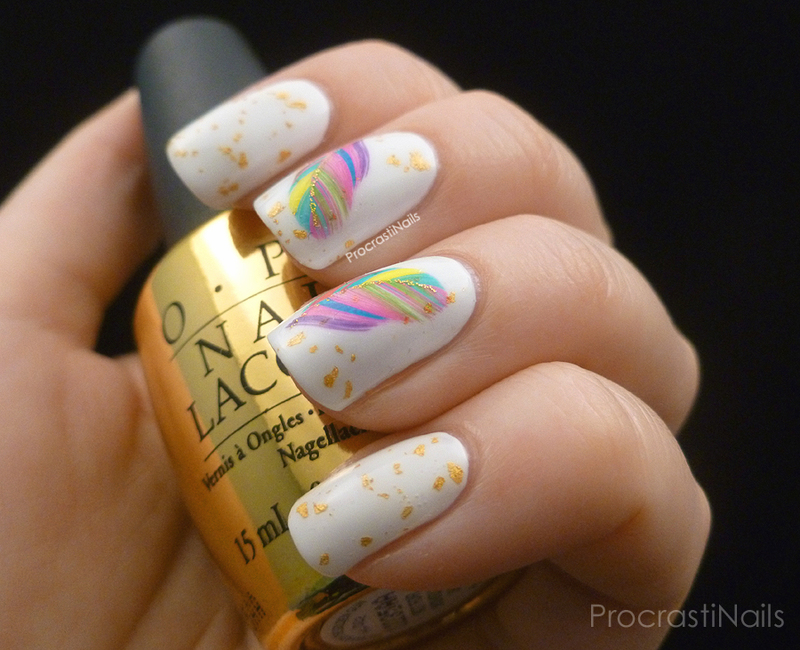 I love your addition of the gold flake too! this is glorious and delightful! If it makes you feel any better I don't mind if my comments aren't responded to. I mean really I only want a response if I ask something ya know? 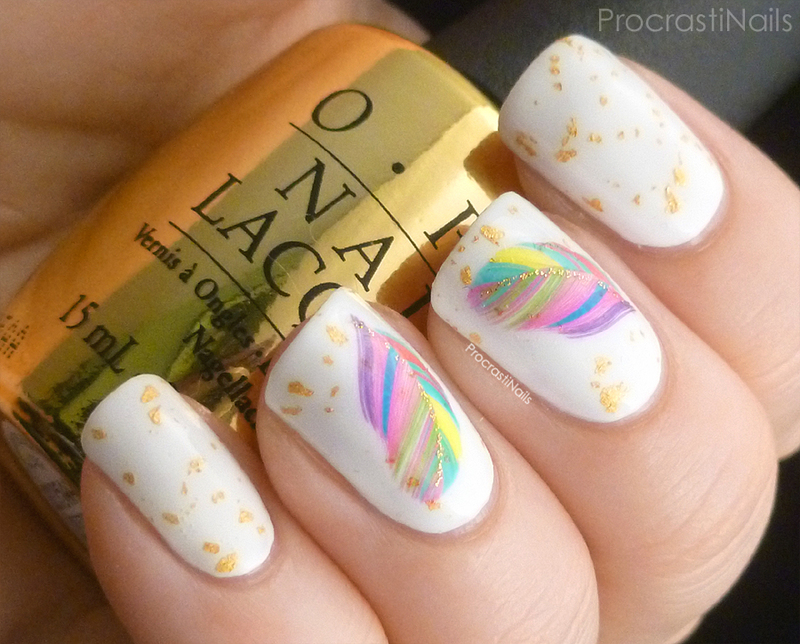 Also...this nail art is so dreamy. It's full of whimsy and I LOVE me some whimsy! 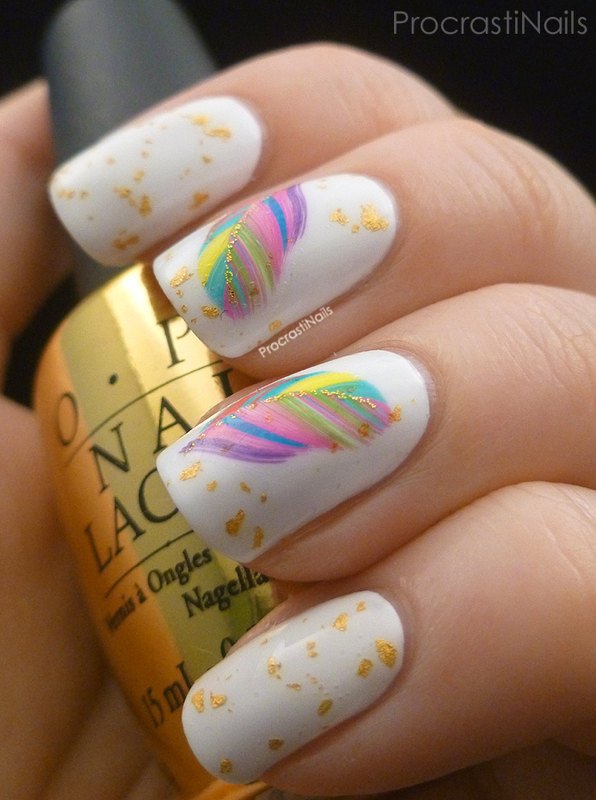 I've always loved gold flakes over pure white polish... but the addition of the rainbow feathers is just... perfection! Absolutely adorable. Love the whole look. And I totally know what you mean about not wanting to change up looks - so I find myself modifying looks for my than one day...heh. This is way too beautiful! You did a fabulous job! I know what you mean about not wanting to take off your mani. I'm struggling to keep up in the daily challenge because I wait to take off the last look until the last minute. This really is a pretty look, and I love how you matched up the feathers. I wouldn't want to take this off either! Ooooh, this is just absolutely gorgeous! This is so beautiful!!! I love that you added the water decals too, the perfect finishing touch! I wouldn't want to remove this either! These are lovely! Such a great combination of colors! I have major decal envy! So cute.